The construction business often involves liens. Liens assist contractors, sub-contractors and material suppliers to get paid for services and supplies. For instance, a Mechanic’s lien represents an amount of money due for work or supplies to improve or repair the property. They are effective in that they are “the last resort” for non-payment of construction projects and put the property owner on notice of a claim for payment. These liens are a great tool for an honest, hardworking person who contracts or is a party to a contract. What Happens When a Lien is Fraudulent? Mechanic’s liens can and are abused like any powerful tool. Dishonest parties who are out to get more than their fair share will use these liens to get more money from a homeowner. This type of person is a troublemaker and a bully of others. These criminals are out to make money on fraudulent claims or on particular projects. Liens are filed fraudulently by these slick individuals and it up to you to know to recognize a dishonest lien claimant. This is the time to speak to an attorney. Find out what you can do to make sure that you take the correct course of action to avoid being ripped off. This powerful tool comes with great responsibility. Filing a fraudulent lien leads to a disadvantage to all lien claimants and can cause problems for legitimate liens. The punishment for fraudulent actions is larger than one might think. Natural disasters lead to a lot of construction work. With that said, construction jobs come with shady and bullying contractors looking to make a quick buck. For instance, they use intimidating tactics and take advantage of a victim’s desperation. A contractor may not be from the area and go from homeowner to homeowner collecting down payments and then disappear. They may contract with you and then claim that you breached the contract somehow and file a lien. Be aware of such indiscriminating individuals. Inflating a lien claim amount or making one up. Placing a lien against a property where the lien claimant has performed no work. Filing a lien after the property owner has already paid for services and supplies. When a substantial amount of work remains to be done and the lien filer includes added costs incurred for corrective work. This may due to faulty work performed on the project. The punishment of a fraudulent lien will be harsh. It will be thrown out and the filer may be Court ordered to pay for damages and attorney fees for filing a bogus lien. 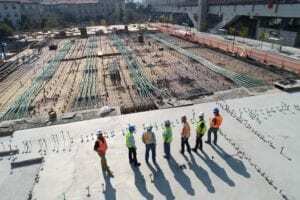 The reason for a lien is to protect contractors and subcontractors to get paid monies they are owed. Dishonest people will be made to pay damages in excess of what they are claiming is owed by an innocent property owner. Service providers are villainous when they are dishonest. As a result, they will attempt to file inaccurate or fraudulent claims, but the results are not good for them. If there is an exaggeration of work done and amounts due, then this is a fraud. When the claim is for work not performed or materials not supplied, then the lien will be determined to be fraudulent. The consequences of exaggeration or lack of services or supplies may lead to a criminal prosecution and jail time. You must preserve any proof of the inaccuracy of their claims to win a case in Court. In conclusion, a fraudulent filing can bring woe to the crook. It can be humungous in terms of attorney fees. An improper $34,000 lien claim escalated into a nearly $500,000 award against the outrageously corrupt claimant. Consequently, nearly $47,000 was an award for attorney fees to the victorious attorney fighting for the rights of the aggrieved party. If you find yourself a victim, call the Law Office of Massey & Duffy today for a free consultation.